Your favorite world traveller is at it again. Our very own, Amanda Mulvehill, recently explored Peru. Read all about in her blog post below! We have a new blog post for your reading enjoyment! Head on over to our agent, Amanda Muvehill’s blog site to read about her Puerto Rican adventures! 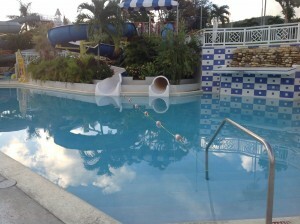 Club level service is offered at most Disney deluxe resort hotels. In addition to concierge service and nightly turn-down service, you gain access to the private club level lounge. 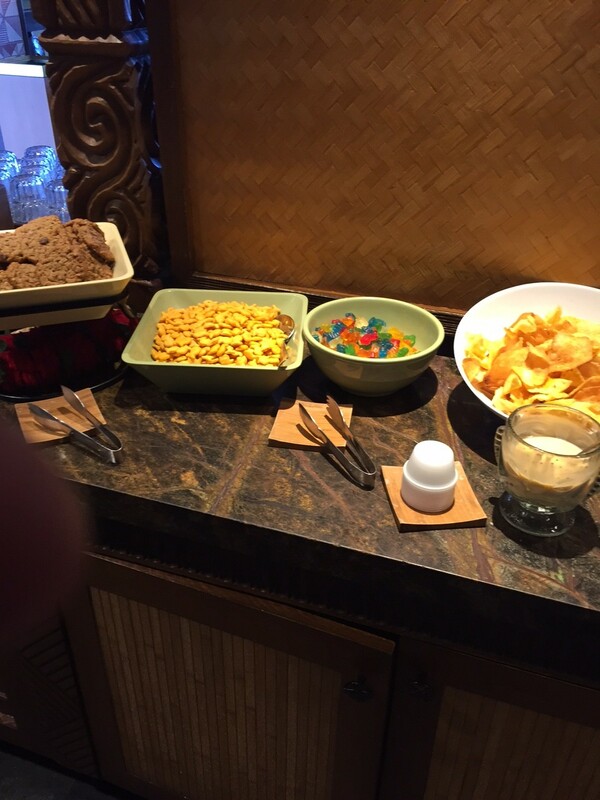 This lounge includes daily food offerings that is complimentary to all club guests. The offer morning continental breakfast, afternoon snacks, early evening appetizers with complimentary beer/wine and late night desserts with complimentary wine/cordials. Many can easily make a full meal out of the breakfast and early evening appetizer selections. 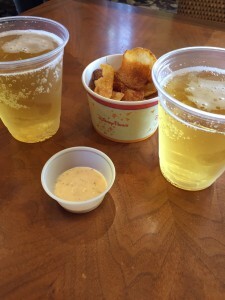 This would be a nice compliment to the Disney Dining Plan or an option to consider if you do not need the dining plan. Many clients opt for club level before a cruise or during a shorter trip. The Grand Floridian is currently the only resort with the club level option that is utilizing a texting service for the guest and the concierge to communicate regarding fast passes and dining reservations. I found this to be extremely useful. Another benefit of staying at the Grand with the club level option is that the concierge, food and drinks are all at ground level, it was easily accessed and convient. The concierge staff at the Grand club were all very knowledgable and helpful during our stay, they went above and beyond to try and accommodate any request we had. The Polynesian resort does not use the texting service to communicate with the concierge you must call, this was inconvenient because this particular phone line was shared with the Animal Kingdom as well. The ground level had the concierge and the first floor hotel rooms, the food and drinks were on the second floor. There were often times where we had to wait when we were wanting to ask for a drink, or if the food needed refilled. It seemed like having the concierge and food on the same level worked better at the Grand because there was always someone that saw you quickly and could wait on you or let the other staff know there were guests that needed something. 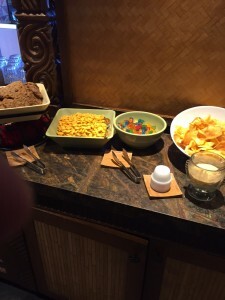 At the Polynesian the staff were often in the back of the food area that had no window or way of quickly seeing there was a need to wait on a guest or refill the food. 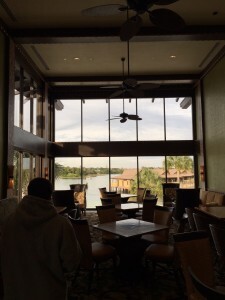 However the Club seating area of the Polynesian did have a beautiful view of the Magic Kingdom, but if you are wanting to watch the Wishes fireworks display or the electrical water parade you would need to arrive well in advance to get a good seat by the front window. 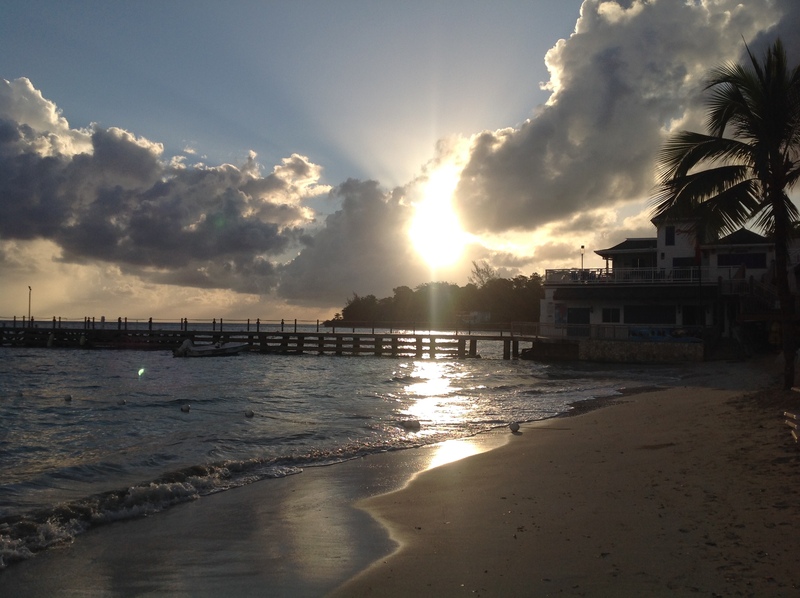 Back in April of 2015, my family and I went on vacation at Beaches in Ocho Rios,Jamaica. We stayed in one of the family suites, which is big enough and roomy enough for family of four comfortably. The resort lives up to the Sandals name of excellences, it is a huge resort with plenty of entertainment for both kids and adults. Every night,the Sesame Street gang comes out to perform a show on stage right next to the pool area…I was there every night enjoying the show. The food was incredibly good from the buffet down to their specialty places. They also have a 24 hour coffee and tea bar located outside, and I love coffee so this was right up my alley ! 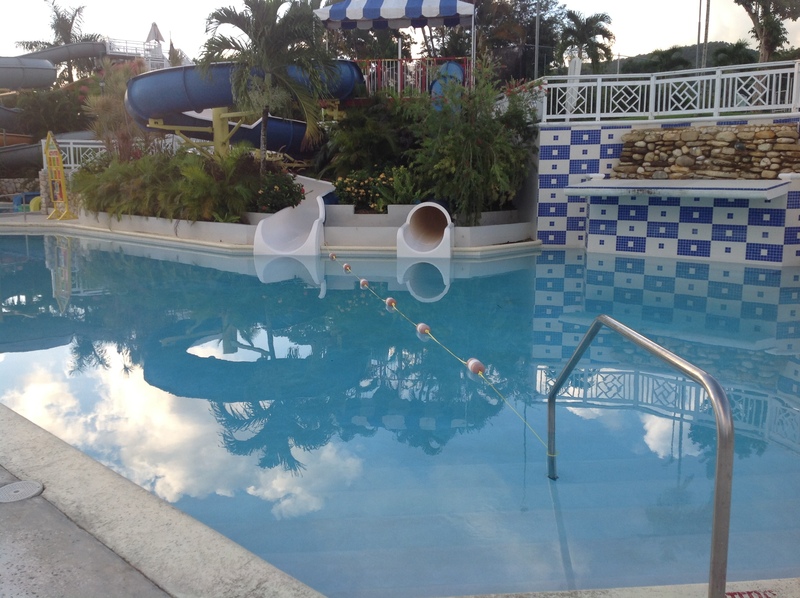 The pool and pool bar were awesome,they even have a special pool and water slides for all the kids which was fantastic. For the kids they have an XBOX room filled with about 20 systems, along with a disco for the adults which after a certain time is for teenagers only. The beach was very good, not a huge beach, but just right with plenty of seating and canopies for everyone. They had plenty of water sports so you cannot get bored here at all! 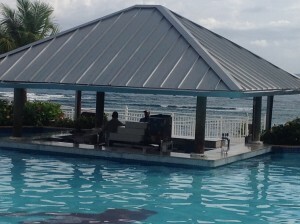 There were no down sides to this resort, they even have a special area located by the pool on a deck set aside with 6 cabanas which can be rented for the entire day. 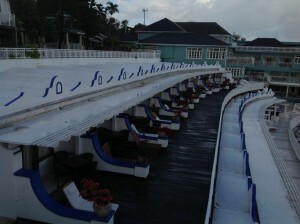 It includes waiter/waitress service all day long, so you do not need to leave the area except to go to the pool. The weight room was great,it is equipped with the latest machines and weights,and is comfortably air conditioned. As a certified Jamaica Travel Specialist, I can help you plan a family vacation to this fantastic resort. 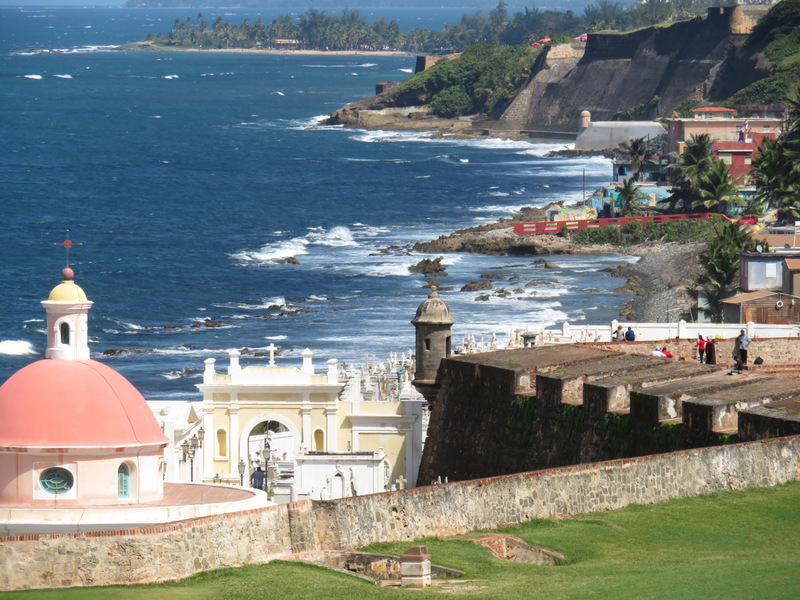 If planning an adults only trip, I have many other ideas to share with you. Contact me anytime to begin discussing your vacation dreams. Bridget is entering her second year with Travel By Design and focuses her work on Disney Destinations. 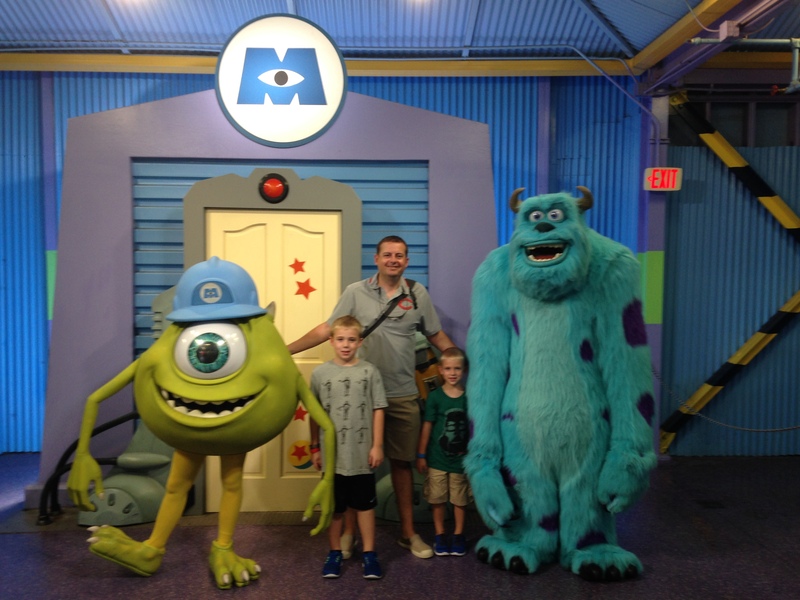 As a Mom of two young boys, her interest in Walt Disney World started years ago when she came to the agency as a client seeking guidance for their first family trip. Since then she has returned several times and has become an expert in all things pertaining to Walt Disney World. 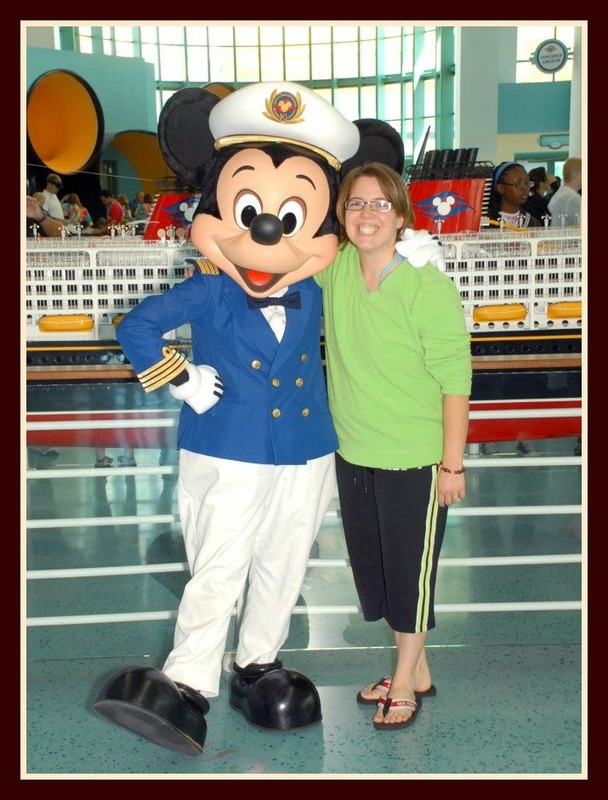 In late 2014, she joined Travel By Design so that she can share her love for Disney with others. She quickly became one of our top selling agents for 2015! Bridget and her family recently returned from a split stay at Walt Disney World. They enjoyed time at the Wilderness Lodge, followed by their usual stay at the Contemporary. On this visit, they enjoyed the added amenities of the Atrium Club Level (a private floor with concierge and exclusive lounge with daily food and beverage options). If you might like a little extra pampering, be sure to ask Bridget about all the features included in booking a Club room (available at most Deluxe Resorts). This visit included exploring the Epcot Food and Wine Festival where they discovered its not just for adults! There is a fun scavenger hunt as well as other kid-friendly activities. They also enjoyed a night at Mickey’s Not So Scary Halloween Party where took advantage of the Pirates League and received pirate makeovers. 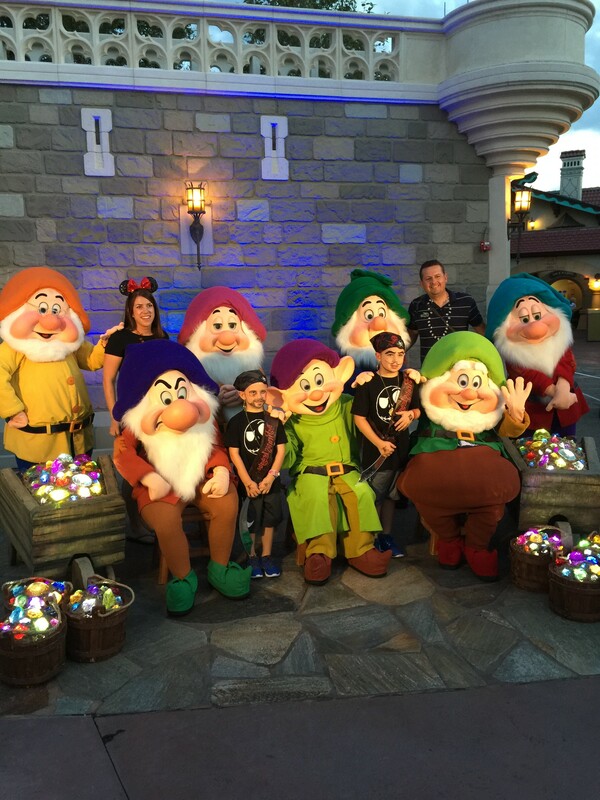 Meeting the Seven Dwarfs was a highlight of the night! 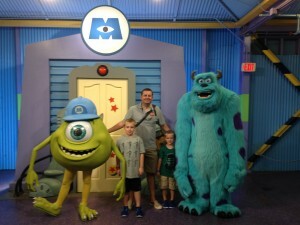 The trip was complete with a day at Universal Studios and Islands of Adventure theme parks. Adding a day to this theme park system is easy when you book tickets through our agency. Bridget can arrange a special ticket that includes shuttle transportation to/from your Walt Disney World resort. For more information on these events or to inquire about your own Disney World vacation, you can contact Bridget at: Bridget@designmytrip.net or 937-974-4144. I recently had the pleasure of working with an old friend, Kim Powell. 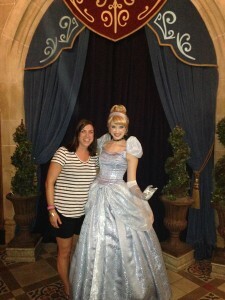 I assisted her in planning a trip to Disney World for her family of 6. They stayed in a 2 bedroom villa at Disney’s Animal Kingdom Lodge. The villa were perfect accommodations for her family. Her boys enjoyed seeing the animals occupying the resorts African Savannah’s and taking part in the resort hosted activities. Travel By Design has been designated as an Authorized Disney Vacation Planner! We are also distingused as an Earmarked Agency by Walt Disney Travel Company. This prestigious designation is given based on meeting sales goals and having professional relationships with both Disney and our valued clients. Few agencies hold these designations, they are given to the best agencies. You will get the most out of your vacation at the best value available. Travel By Design has been designated as one if the best, book with us to see what we can offer you! Mark is being featured as a sponsor on the webcast site: Insanity After Dark. Regina Mayhugh, one of our Disney specialists, recently returned from a trip to the Bahamas on board the Disney Dream. She has written about her family’s experience on her blog. Contact us today to begin creating your own Disney memories! I am sure that some people have heard of Superclubs Breezes resorts – and last year,I had the pleasure of staying at the Bahama Breezes in beautiful Nassau, which is roughly 50 miles off the coast of Florida.My first stay here was on a business/leisure trip,although from the moment you get to the resort–there really is only relaxation,the staff there is very friendly and helpful,and the bright colored Caribbean tile in the lobby as well as the colorful patterned furniture in the lounge area puts you at ease. 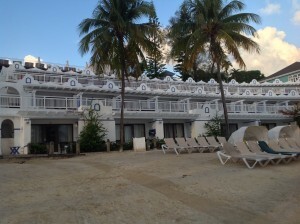 The beach itself,which is right in back of the resort,past the three pools and outdoor hot-tub,has very clean,white sand-and the water is a mixture of turquoise green and baby blue.They have a rock-climbing wall ,a trapeze school and plenty of entertainment both indoors and outdoors, including tennis and basketball courts,and nightly live bands at the lounge. Everything is all included in the price, including all meals-they have a buffet open from 6 am to 11 pm,and a midnight buffet open for people that refuse to sleep. My second trip there that year was during Spring Break in March — if you are still in college,this is where you want to be !! 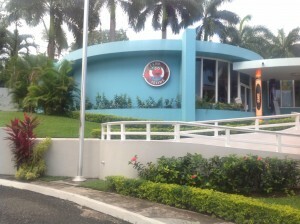 They have 3 huge bars serving top shelf liquor,and there is no shortage of activities !! If you are over 35,you have to get real used to the huge crowds of people- it can get out of hand at times,but for this event,they call in extra security and they station them on every floor of the resort,so there is no need to worry about anything. Overall this is an excellent choice for people to stay !! There is a casino about 10 minutes away at the Sheridan hotel,as well as at Atlantis–which is about 40 minutes by bus. 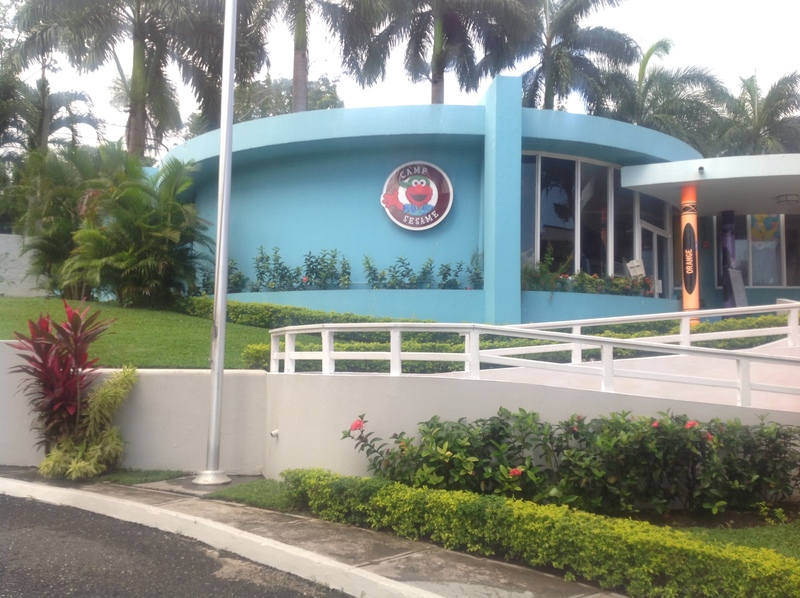 There are many tours for Nassau,including visiting Atlantis – my wife and I took this tour,and it is truly an experience–it is so big,there is no reason to leave Atlantis–everything you can ask for is there,another tour to take is the one around Nassau itself,there are many historical places to visit including two original forts that were built from the war there a long time ago.There is also a zoo and wildlife preserve there called Adestra Gardens,where you can see parrots,all kinds of animals,and beautiful Caribbean Pelicans–which are very brightly colored and found only in the Caribbean. In November,I will be visiting more Superclubs resorts in Jamaica,and I will review them as well when I get back ! If you would like more information on these fine all-inclusive resorts,please contact me. 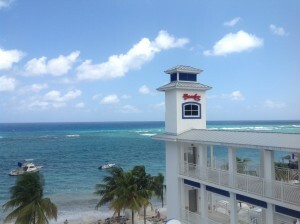 If you are thinking about having a destination wedding,this is a very good location.